Cincinnati State Technical and Community College appears in our ranking of the 10 Best Online Colleges for an Associate’s Degree in Hospitality. Cincinnati State Technical and Community College offers an Associate of Applied Business in Hospitality Management. Also called its HOSP program, it allows students to network with professionals working in the hospitality industry in Cincinnati and other parts of southeastern Ohio. Students can expect to make $18 an hour or more in the positions they take after graduating. They can also use their degrees to transfer to a major college in Ohio such as Miami University or Wilmington University. Both of these schools offer full bachelor’s programs in hospitality. The college gives students a curriculum outline that shows them all the required classes in this program and some of the other courses they might take. Some of those required courses include Food and Beverage Cost Control, Rooms Division Management and Event, Meeting and Convention Management. This program includes a cooperative education component too. Students can do two cooperative experiences that are worth two credits each. 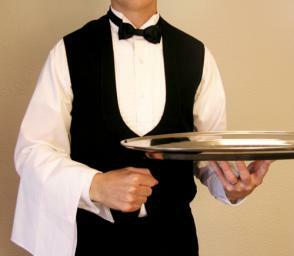 They will work full-time for a hospitality company such as a tourism bureau or a restaurant. Students can also do four part-time cooperative experiences and spend less time working for four different companies each semester. Students who want to work in the food and beverage industry may find it helpful to enroll in one of the college’s related programs. It offers degrees in both culinary arts and pastry arts. The culinary arts program includes classes such as Food Service Sanitation, Culinary Nutrition, and Food and Beverage Cost Control. They learn how to create a safe kitchen environment and how to make different types of dishes. Its pastry arts program focuses more on baking in commercial kitchens and includes courses such as Celebration of Cakes, Theory of Baking and Hospitality Careers. Another related program is the college’s brewing science program. This is only open to students who are at least 21 years old and teaches them how to run a brewery and make their own beers. Some of the classes in the brewing science program include Fundamentals of Chemistry, Brewing Technology and Calculations, Brewing Ingredients and Applied Brewing Microbiology. Cincinnati State Technical and Community College offers a brewing sales and marketing certificate that is suitable for anyone who wants to work in a business that sells alcoholic beverages. Located in the Cincinnati area called Clinton, Cincinnati State Technical and Community College is one of the largest community colleges in southeastern Ohio. Established in 1969 as the Ohio Technical College, it opened on the grounds of a campus once used as a local high school. The Cincinnati Public School District operated that high school and offered classes in technical fields as well as some vocational programs. The new college used some of the equipment once used by the former students of that school but added new equipment and resources as its enrollment grew. When the state passed smoking bans, it was one of the first schools in Ohio to ban students, employees, and visitors from smoking on its campus. 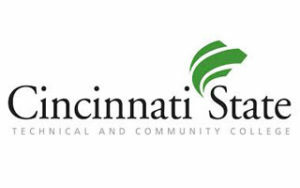 Called both Cincinnati State and CSTCC, the college primarily offers associate degree programs that allow students to finish their studies in two years or less. It created a program to show local high school students that they could go to college and now allows those students to take some classes for both high school and college credit. The college also established a quiz bowl that local students participate in each year. Nearly 10,000 students attend Cincinnati State every year. Cincinnati State has regional accreditation from the Higher Learning Commission (HLC). Based out of Chicago, the HLC is responsible for accrediting colleges across the nation. It also has approval from the Ohio Department of Education to grant degrees to its students. Though the hospitality program does not have accreditation, the college has accreditation and approval from other organizations for its programs in aircraft maintenance, dietetics, real estate, nursing and other fields. To make sure that students have all the information that they need, Cincinnati State recommends that students fill out a request form online. Not only does this allow them to learn more about the college and some of its program requirements, but they can also talk with an admissions representative. Though the college does not charge an application fee upfront, it does ask that students pay a $15 fee after they receive an acceptance letter. This fee covers the cost of processing the application and also secures a spot for the student in the coming class. Prospective Cincinnati State students can either use the standard or the college credit plus application. Any student in seventh through 12th grade can apply for the college plus credit and take classes either online or on its campus to earn both high school and college credits. Traditional students, including those with a GED or a high school diploma, will use the standard application. They must also submit their transcripts and take placement tests to determine whether they need to take any prerequisite courses. Accepted students can then register for classes and apply for financial aid. Students can save quite a bit of money when they spend two years at a community college before transferring to a full university. Cincinnati State students pay just $159 per credit hour if they are also Ohio residents. Students from both Indiana and Kentucky can attend the college because of its location, which is close to the borders with those states. Nonresidents pay $318 per credit hour. This includes nonresidents taking Cincinnati State classes online. Students also pay between $35 and $50 per credit hour for any classes they take that include a lab. Any student who is 60 or older qualifies for a tuition waiver that allows them to take classes for free. The college only awards financial aid to students who use the FAFSA because this helps the school see how much help that each student needs. Students can use both federal loans and any grants that come from the state government. They can also apply for scholarships, but the college has a deadline near the middle of February for those applications. Cincinnati State Technical and Community College scholarships can cover most of the costs of any of its hospitality management programs.